I didn’t get to play much over the weekend due to various activities. But I did get a few things done. First, I finished off getting my chars some Jump Clones. Unlike other MMOs, which feature fast travel (GW2 and its waypoints; LoTRO and map travel to milestones; etc) EVE doesn’t have that. Well, that isn’t fully accurate. 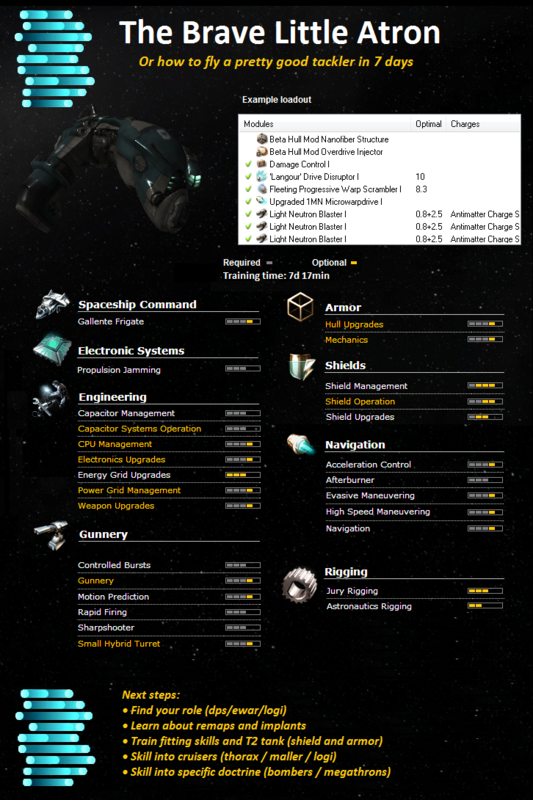 In EVE, you have to move yourself and your stuff by planning a route and warping through each system step by step. The game will find a route for you, so you aren’t stuck hand-planning the whole thing, but generally going from A to B takes time and might involve dozens of “jumps”. For example, going from Jita to B-R5RB takes 37 jumps, and each new system is progressively lower and lower security until null sec. The entire trip might take an hour or more, and while you can autopilot, the lower the region security, the bigger the chances of your ship being attacked. But, there is a way to install clones of yourself at various stations. These are called jump clones and the number you can have is gated by the Infomorph Psychology skill. In the sci-fi of the game, your body doesn’t travel, it is just your consciousness that is transferred and installed into a different clone. At some station a long ways away, saving some travel time. 😉 So not quite fast travel wherever you want, but better than nothing. One downside is you can’t just install jump clones at a station without having a high reputation with the corporation that owns the station. It apparently takes a while to grind up that rep, but there are some ways to take a shortcut. For instance, the corp you join might have enough reputation and you as a member will benefit. EVE University has a service for their members, and Estel Arador Corp Services (kinda has a LoTRO ring to that name!) does too, offering a free jump clone service to the playerbase for donations. At least, they will until the auction finishes and the corporation transfers ownership. After that maybe things will change. I hope whoever takes over continues the service. Anyway, I finished getting clones for one character and saw the auction notice. Then I hurried up and did the same for my other two! Just under 7500 ships lost in the last 24 hours, when I checked. Sounds like a lot of shooting going on! I’m training Aurora towards being a combat pilot, and in electronic warfare, covert ops, and logistics. All sounds fun, with the covert ops role being useful for solo exploration, and the rest being more group oriented. Meanwhile, Summer is getting core skills to 4 and will then turn towards industry, research, and planetary interaction. I decided to train Autumn to fly a covert ops exploration ship, rather than do the 3 month stealth bomber I posted earlier. Exploration is something that Aurora can do but I decided to throw in another PLEX to have a 2nd character able to explore as well. Her skill plan is basically Amarr Frigate to 5, Electronics Upgrades to 5, Cloaking to 4, and Covert Ops as high as possible before the extra training runs out. I’m thinking of joining a corporation, since some of the things I’d like to try would be very difficult solo. To that end, I’ve been searching around a bit, and have identified my first choice. Plus found another one that looks good as well. Sometimes I get blind invites, chat requests, and emails (in game) about joining a corp. Those might be fine avenues of recruitment, but the EVE playerbase reputation is so tainted and has the reputation of being filled with nothing but scammers that prey on new players, that I ignore everything. My way of finding a corporation to join is entirely out of game: reading blogs, and noting who mentions that their corporation recruits players. I figure it is effortless to scam someone in game, but comparatively few people will play a long enough con to form a website/blog, write for months, only to have that all be fake and merely an elaborate method of scamming new players. I adventured a bit more with Naerys, who was questing in the Woodhurst area of the Stonedeans. I was just following the epic storyline and adding a few side quests here and there. 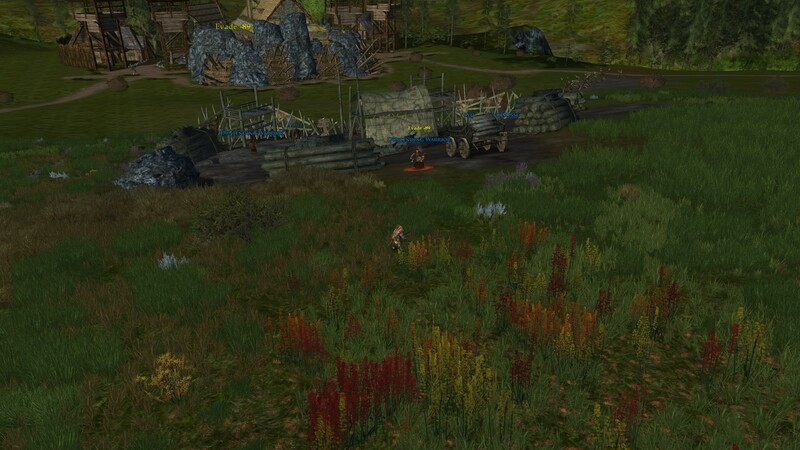 One was to clear out Dunlendings, so I found an encampment and began thinning the ranks. But combat was taking an extra long time. I realized that I had been overleveled for earlier areas and that helped me mow through enemies, but still, somewhere in the Stonedeans the ambient quest level (roughly 91/92) approached Naerys’ level (just into 93) so that might have explained it. Except… something tickled my brain… could there be another factor? Oh yes, my legendary items? I hadn’t updated them in… well I couldn’t remember. I checked and that was indeed a part of it. My legendary club – the weapon of choice for civilized Hobbit Guardians 😉 – was level 85 (!!) and so was my legendary belt. Oof, 8 levels lower, no wonder battles were taking a long time. So I wrapped up and recalled to Telain Galadhrim to visit the auction house and look for level 90ish items, but couldn’t find anything suitable. I realized part of the issue is that everybody at max level only bothers with max level items. I could hold out for 2 more levels, but I didn’t want to. What to do. It used to be there were legendary item givers at various spots along the way (e.g. Moria, Mirkwood, Stangard) but there also appeared to be a gap from level 85 to 95. It’s always possible to get them dropped randomly, but I didn’t have any luck finding a weapon or class items since level 85. Come to think of it, I probably bought the ones I was using from the Auction Hall. Anyway, I hunted around and finally gave into the LoTRO Store. Yes, for a mere 195 Turbine Points, you can get a “3rd Age Item Trove” that lets you pick a “level appropriate” weapon or class item (and if you qualify, a saddle). I bought one and tried it out, wondering what specifically “level appropriate” meant. After selecting a club, I found a level 93 3rd Age Legendary Guardian’s Club in my possession. Sweet! I gave in again and did the same thing for a Legendary Belt. What can I say, points well spent. So I fiddled around with my new items, and noticed the base DPS of the level 93 club (i.e. no points spent into DPS all) was something like 50% higher than the DPS of my maxed out level 85 club. After spending points it is even better. OK to be honest I didn’t actually write down what the stats were at level 85 and my memory is fuzzy. Let’s just say I’m happy to squeeze some extra damage out of my club even though I will likely replace it in 2 levels. While I was in Caras Galadhon, I also cleaned up my inventory. Naerys has 6 bags of 15 slots each, for a total of 90 inventory items. She was also hauling around bags with an astounding 77 of those slots filled. I can easily be a packrat so I decided to carefully examine everything and leave several items behind. Potions that were no longer level appropriate, the cloak and pocket items with +stealth that I carry around but never use (or not enough to devote 2 slots to), stuff from Hobbit Gifts that were account-bound and therefore more useful to other characters like Dhrun, etc. Naerys is now at 3.12.10, Rumours of a Battle, with the objective to travel to Helm’s Deep. 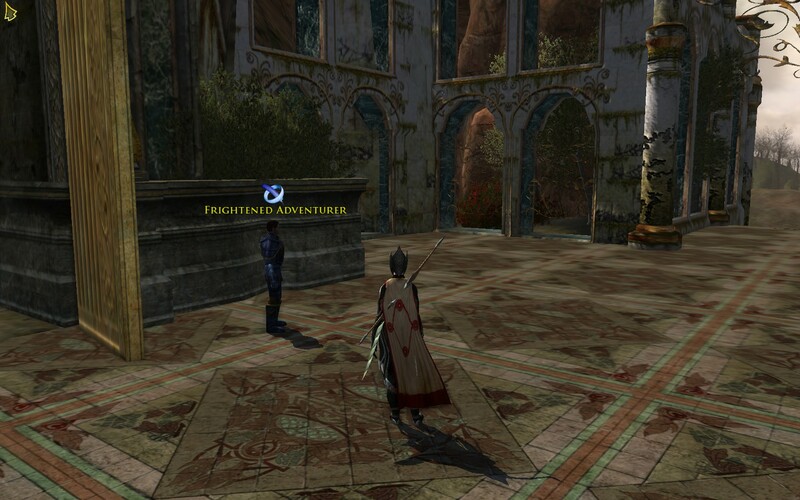 I might be the last adventurer in all of Landroval to arrive, but I’m getting to Helm’s Deep soon! The 2nd page of the 2nd article has a big list of the top 100. Naturally, I looked over the list, curious about MMOs. That’s more than half of them, including the top 4. Oof. The thing is, and I don’t want to get into arguments about what is and isn’t an MMO, but my own definition doesn’t include MOBAs or action shooter RPGs and games along those lines. To be fair, I haven’t played most of those games so I can’t render an opinion based on experience – for instance, I list Planetside 2 since Nosy Gamer did – but what blew me away was the game at #94. Fallen Earth. Congrats are in order to Fallen Earth for being the only MMO (IMHO) that made the top 100 Steam Game list! Represent!! That’s the only game I think is really an MMO in the list. Spiral Knights and Realm of the Mad God look more like arena shooter type games, Path of Exile looks like a Diablo-style dungeon crawler action RPG. Besides, further up on the list at #40 is Torchlight 2, a game in a similar vein. Fallen Earth. Ranked #94, which places it above games available through Steam which aren’t on the list at all, such as EVE Online, LoTRO, TSW, DDO, FF XIV, RIFT, Neverwinter, Darkfall: UW, AoC, etc. Perhaps what partly explains Fallen Earth’s lofty position is that it was released recently enough (Sep 2009) so the majority of the player base hadn’t already bought it standalone by the time it came to Steam (Oct 2011) for all of its time to be tracked (after Mar 2009). And with the transition of Fallen Earth to Gamer’s First, the shrink wrapped product fell by the wayside versus purchasing it on Steam. Where, just to take an example, Trion has been over RIFT the entire time, selling direct on their website, so the proportion of direct sales to Steam sales is different than it is for Fallen Earth. Now to be fair, MMOs typically also have their own standalone clients; not everybody buys through Steam. For instance, LoTRO and DDO both became available via Steam years after their original release: LoTRO release Apr 2007 and was added to Steam Jun 2012, etc. So many players probably don’t go through Steam and thus no stats. And there is the fact half the popular ones (Digital Dozen) including the top 4 aren’t on Steam at all. It would be interesting to see the tail end of the game list, if Ars would publish it. Games #101 to 200 or even higher. I have a feeling Valve/Steam might not be too happy about publishing more, however. I decided to treat myself to a little computer upgrade and replace my monitor. I had a 20″ LCD on my Windows machine, and decided to “go big” and get a 27″ monitor. A nice ASUS PB278Q wide quad hd monitor (i.e. can do 2560 x 1440). It came in today and I’m still drooling as I quickly log into each game and fiddle around a bit. Anyway, the extra screen real estate is FANTASTIC. Here are a few screenshots, I just can’t resist. My ranger Glyneth with Vigil Keep in the background. My champion Autumn looking towards Hardirion in Enedwaith. 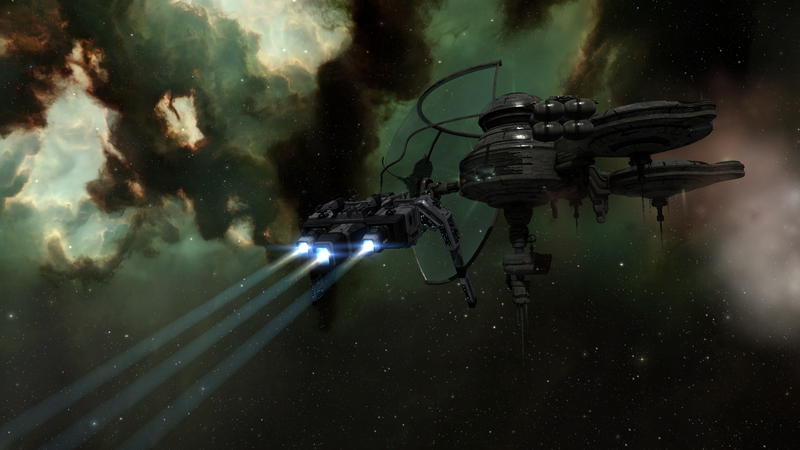 Aurora flying a Caracal towards a station. Wayness surveying the hellscape outside a motel in Savage Coast. 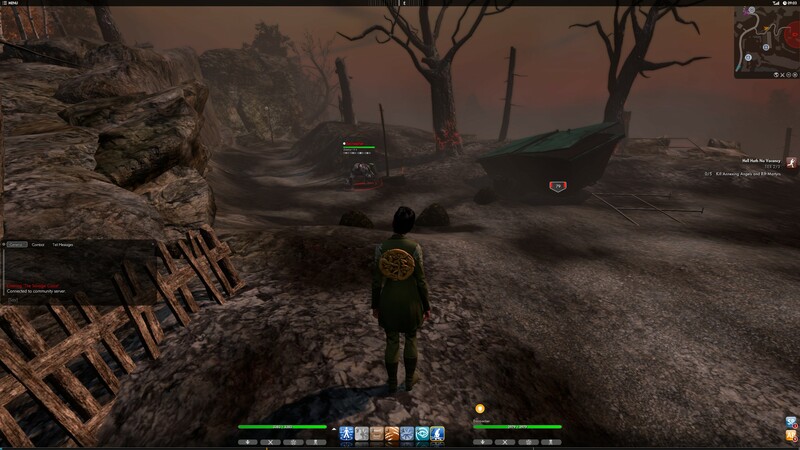 Wow, just logging into TSW makes me realize how utterly slack I’ve been playing it. I was reading through the Brave Newbies subreddit, and saw an interesting discussion. It was a link to an infographic about training to be a “pretty good tackler in 7 days“. And that’s cool. New players that are interesting in doing something useful (for a PvP corporation, I gather) can use some direction. What I also found interesting was a comment in the discussion, about doing something similar for stealth bombers. I figured I could look into that while I’m away from my home computers. First, stealth bombers are Tech 2 Covert Ops Frigates: Amarr Purifier, Caldari Manticore, Gallente Nemesis, Minmatar Hound. I clicked on the Purifier and browsed through the various Mastery levels. I figured level 3 would be a good one to shoot for as a newbie stealth bomber pilot. A few of these will change based on race of the ship – for example, Radar Sensor Compensation changes to Magnetometric Sensor Compensation for the Gallente Nemesis, Gravimetric for the Caldari Manticore, Ladar for the Minmatar Hound. Some skills are already going to be satisfied, such as Electronics Upgrades. That has to be 5 just to train Covert Ops in the first place. Another is the racial sensor compensation – Radar Sensor Compensation and the others require CPU Management 4 before they can be injected. It seems that new characters already start Science 3, so Science 1 is done. Same deal with Spaceship Command 3. Minor issues. So after creating a blank character in EVE Mon, and adding those skills in, I get a just over 83 days 5 hours. That breaks down into around 47 days 1 hours for training the non-stealth bomber missile skills, and 36 days 5 hours for the missiles. A major chunk of the 47 days is the ~19.5 days it takes to get to racial Frigate 5 and Electronics Upgrades 5. So in 3 months, a completely new char could train into stealth bomber. They’d just need to buy a bunch of skill books and keep that skill queue chugging. If you were PLEXing another skill queue for an alt, you’d have about 7 days left over to train up a few skills higher, such as Navigation, or add some Rigging skills or what have you. Since I have no direct experience flying such a ship, I’m not sure what other skills are important as well. Hopefully all the critical skills are already listed, and anything extra is just nice to have. It looks like a good outline to follow at least. Hm…. now I’m tempted to put my Amarr character on this plan! Although I’d be better off going for the Covert Ops exploration frigate, since flying that might lead to finding valuables through exploration. for a Covert Ops frigate, which are the Amarr Anathema, Caldari Buzzard, Gallenete Helios, Minmatar Cheetah. Those skills only take another 3 days to train! Grand total for all these exploration-oriented skills is a little over 4 days 6 hours. If all you wanted to do is train into the Tech 2 exploration frigate (basically leave out the stealth bomber) then the training time is 51 days 7 hours. Anyway, I think I found a goal for my Amarr alt: Tech 2 Covert Ops frigates! At least to mastery level 3. I have a feeling mastery 4 and obviously mastery 5 would take quite a bit extra. Halbarad has a brilliant scheme to buy the Fellowship some additional time: sew confusion by crafting an imitation ring of Barahir. Unfortunately Fúni, a dwarf jewel-crafter of sufficient skill to do this, has been captured by the Ninkoth Uruks. Autumn tracked them easily to Minas Elendúr, where she found a frightened man standing outside. “It is enough to drive a man mad!” he said. Autumn gloated, thinking that it is good she was neither Man nor male, unsure of which he meant. Autumn stepped in and followed large blood stains towards Uruks. The dwarf cannot remain alive after losing so much blood, she thought, but then remembered they were a hardy folk. After battling several Uruks, the bloodstain trail led down some stairs to the bottom of a courtyard with a magnificent statue. There sat Fúni, injured but alive. And true to his people, he refused to leave without gathering some treasure! Autumn was incensed but held her tongue, realizing Fúni may be delirious and in any event, Halbarad needed his cooperation. So she agreed to gather up some trinkets and explore Minas Elendúr further. Besides, there were Uruks to slay and Fúni did not appear mortally wounded. After wandering seemingly for hours, slaying many Uruks, Autumn found several treasures that brought a smile to Fúni – and even better, he agreed to leave. 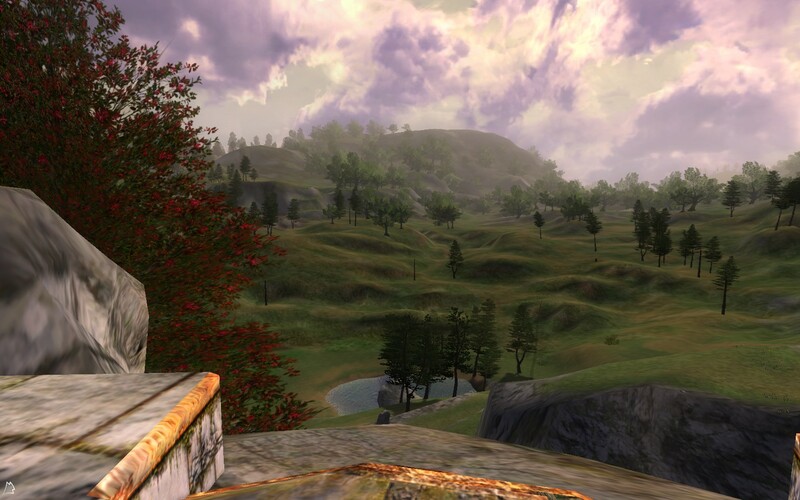 Back at Echad Eregion, Halbarad sent Autumn south to speak to Lothrandir at Echad Dagoras. 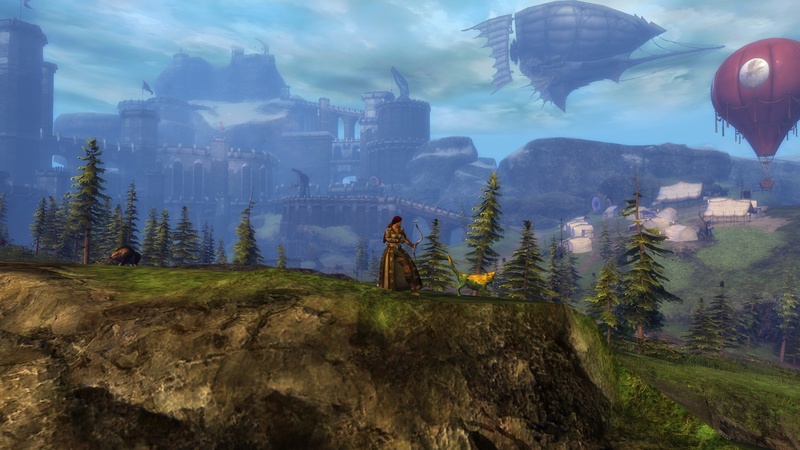 The view south from his perch among the ruins is quite pretty! 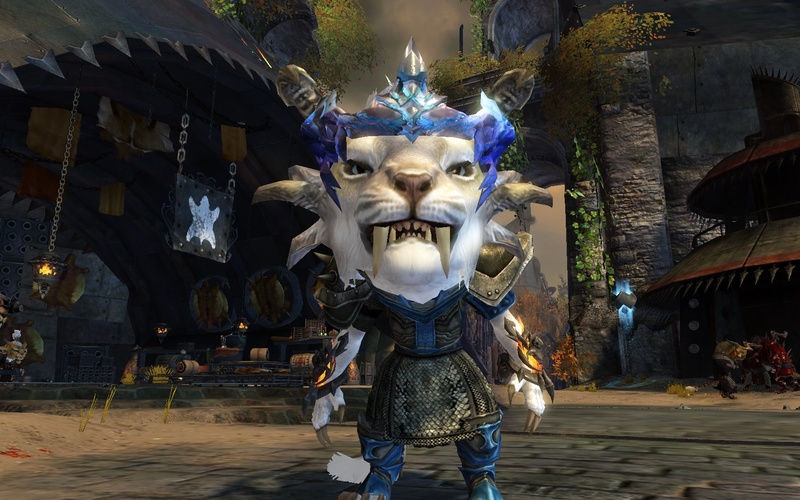 I logged in to check out the bobblehead versions of my characters. I’ve been lazy about getting to 80 on Glyneth, my ranger. She’s currently at 71 and would easily make it to 80 by the mid-month patch… except I’m not going to be able to play much in the next week or two. I’m house/pet sitting for a friend and will be away from my regular computers and on my notebook instead. My notebook is a 2009 era MacBook Pro. While it does have a NVIDIA GeForce 9600M GT for video, let’s just say that the system isn’t exactly going to stun and amaze. I figure I can at least log into EVE in order to keep my skill queues topped off – this is very very important! 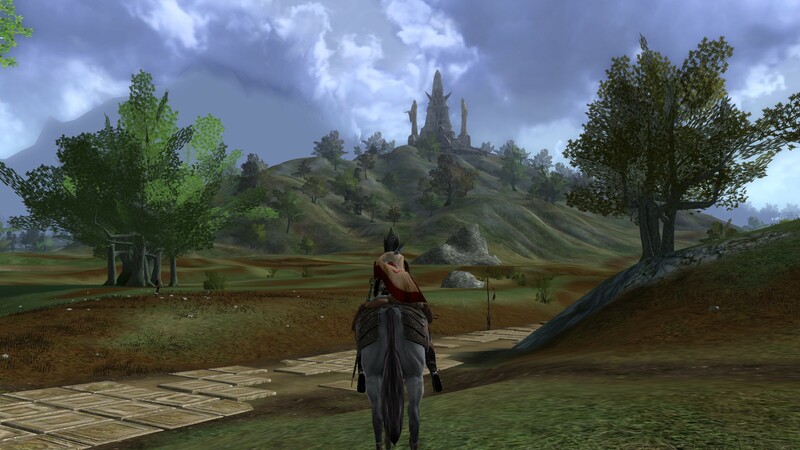 – and might be able to get a little bit done in LoTRO or GW2. But I think it’ll just be more pleasant all around to dig into my backlog of Steam games and play a few of those instead. And as Azuriel notes, I’m a person who grabs a games during Steam sales – some sales are 80% off! – and then isn’t always diligent about playing. In fact, to my embarrassment, I’m one of the elite 24% that owns Borderlands 2 and hasn’t even claimed the initial achievement. Um… the dog ate my homework? Anyway, I have a bunch of games that should run fine on my 2009 MBP. 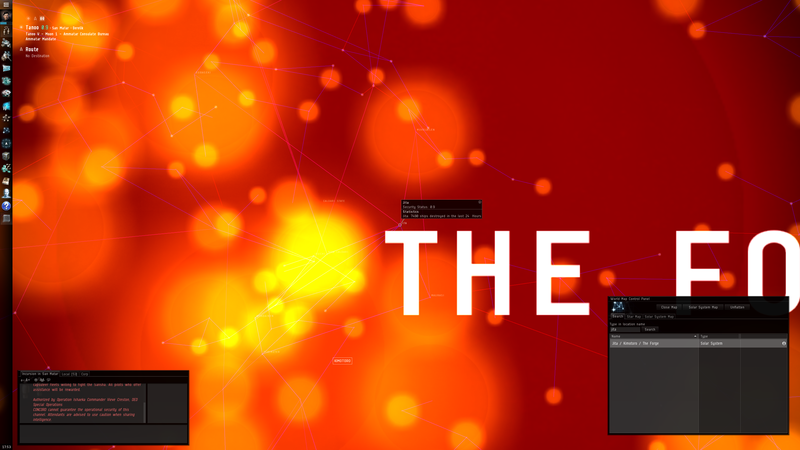 Mark of the Ninja, FTL, Fez, Kerbal Space Program, SpaceChem, etc. As you can see I’m also a fan of indie type games, and love that the Mac (and even Linux) is reasonably supported. As a matter of fact, Borderlands 2 will run on my MBP, and now I am determined to crank it up and hit E twice, haha.